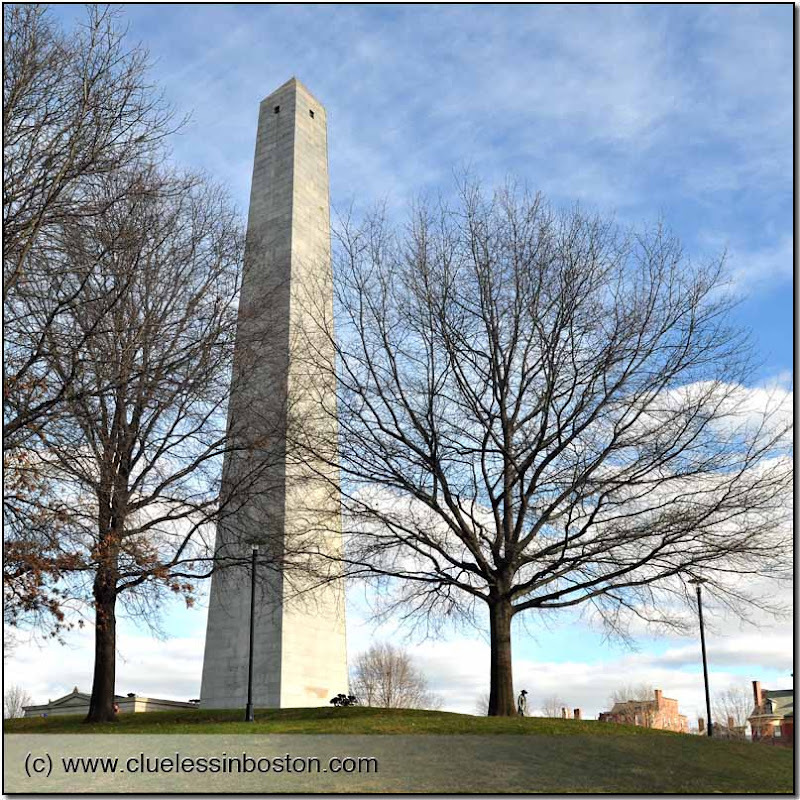 The Bunker Hill Monument stands 221 feet tall at Breed's Hill, the site of the first major battle of the American Revolution fought on June 17, 1775. Very impressive! Is it possible to climb inside? and the silhouette of the man near the tree is looking like a soldier of those times.. is it a statue that has to do with it?.. The event could be communicated. Perhaps something in the foreground.